Find local, superior pool maintenance for Walnut Creek right here at Hawkins Pool. Conveniently located in nearby San Ramon, we offer full-service swimming pool maintenance for pools and inground spas. Our maintenance business is one arm of our contracting business, which means we can also offer pool renovations, repairs, and emergency services when necessary, even after-hours and on weekends. Among our services are cleanings, full weekly service, chemical only service, custom schedules, filter cleaning, vacuuming, repairs and warranties, and more. If you don’t have a pool and would like one or would like to renovate a pool you currently have, Hawkins Pools offers fully licensed and insured contractors to get the job done. Our team is trusted throughout the Bay Area to provide professional and high-quality work, from the design stages all the way through construction and maintenance. Hawkins has experience designing and building pools on a variety of different terrains, including hills, and uneven surfaces and can redesign existing pools with updated features, a better aesthetic, and/or additional water features like a waterfall or waterslide. Create an oasis of your very own in your own backyard! We also design and build cabanas, pool houses, built-in barbecues, fire pits, arbors, and anything else you need to complete your relaxing pool space. Once your pool is exactly as you’d like it, we’re here to continue performing pool maintenance at your Walnut Creek home as often as you need it. 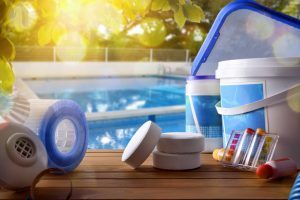 Swimming pool maintenance is the best way to keep your pool in good condition and catch repairs early. Save cash in the long run by taking good care of your pool! We’re happy to offer pool maintenance services for Walnut Creek and surrounding cities. Our services are available for both residential and commercial properties and include pools, spas, and fountains. Please call us at 925-886-1300 to speak with a member of our team and schedule a service appointment.